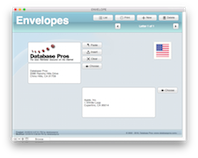 s The Envelope solution is a simple product that prints out #10 envelopes with a logo, return address and destination address. I use it all the time so I thought it would be useful to others at the right price. Download a copy and give it a try! 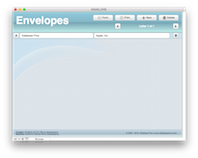 The Envelope solution is a simple but very useful product for printing out single or multiple #10 envelopes. While it doesn't do much, what it does do is very handy and at the right price point. Download a demo of the Envelope now!